Thank you for reading our seventeenth installment of our advent series, please check out our advent page for more articles in this series. 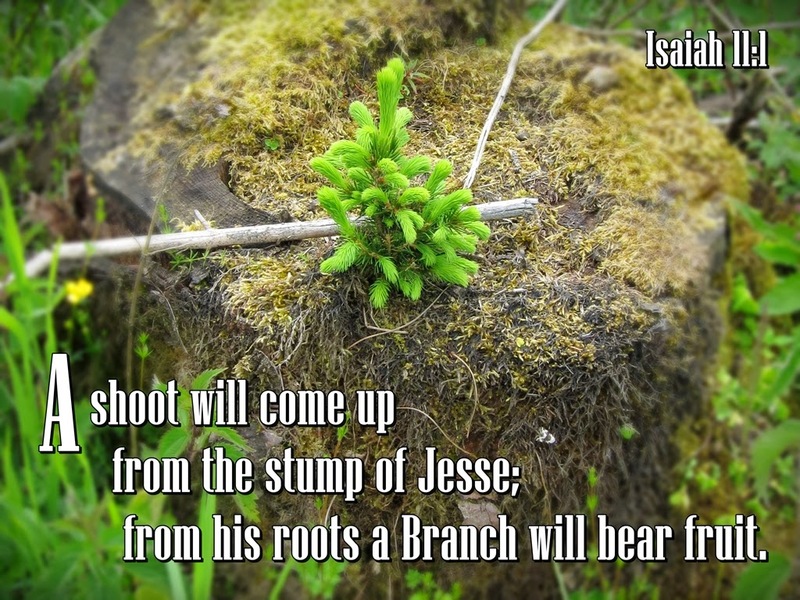 Isaiah 11:1 (ESV) There shall come forth a shoot from the stump of Jesse, and a branch from his roots shall bear fruit. 2 And the Spirit of the LORD shall rest upon him, the Spirit of wisdom and understanding, the Spirit of counsel and might, the Spirit of knowledge and the fear of the LORD. 3 And his delight shall be in the fear of the LORD. He shall not judge by what his eyes see, or decide disputes by what his ears hear, 4 but with righteousness he shall judge the poor, and decide with equity for the meek of the earth; and he shall strike the earth with the rod of his mouth, and with the breath of his lips he shall kill the wicked. 5 Righteousness shall be the belt of his waist, and faithfulness the belt of his loins. What a picture of the coming messiah! That he came from the stump of Jesse (The end of Isaiah 10 talks about the tribes being shewn down) so this stump of Jesse would birth Israel’s greatest human king, the man known historically as King David. I love this prophesy as it honors David’s father and shows humility, had he started with David many more would have taken notice, but he grew that branch out of Jesse and gave honor to him. I love the prophetic implications as the line of David had not been on the throne of Israel for at 600 years at that point, wouldn’t you say that was a dead stump? Who else but God could spring life in something that was considered dead? And to give it the life that is life – the Messiah! Matthew 2:23 (ESV) And he went and lived in a city called Nazareth, so that what was spoken by the prophets might be fulfilled, that he would be called a Nazarene. The answer from Philip was typical of the attitude of that day, people from Nazareth were not regarded well, were not seen as valuable. The messiah who would be humble and rejected by the very people that he came to save. Interestingly the Hebrew word translated Branch sounds like “Nazir” (neser). How does this make him a Nazarene? So we see quite clearly that the term Nazarene was prophesied, used for Jesus and his followers. The term Christian came much later, Jesus in many ways came and redeemed the name of the Nazarene because from humble roots he was born into humble surroundings into an area that was much maligned and not regarded as anything. Still think you are too small and insignificant to be used by God? He allowed his son to come from an area that was humble, live a life that was perfect, allowed him to die in the cruelest way possible and raised him to life three days later to buy your freedom. You are worth that much to God. Jesus went through all this so we can go to heaven, although that decision is ours, we have to choose to follow Jesus. My hope is that these articles help and please contact me if you need to discuss further. God bless you one and all, I thank you for reading this article. Please share, comment or like below as the LORD leads you too.